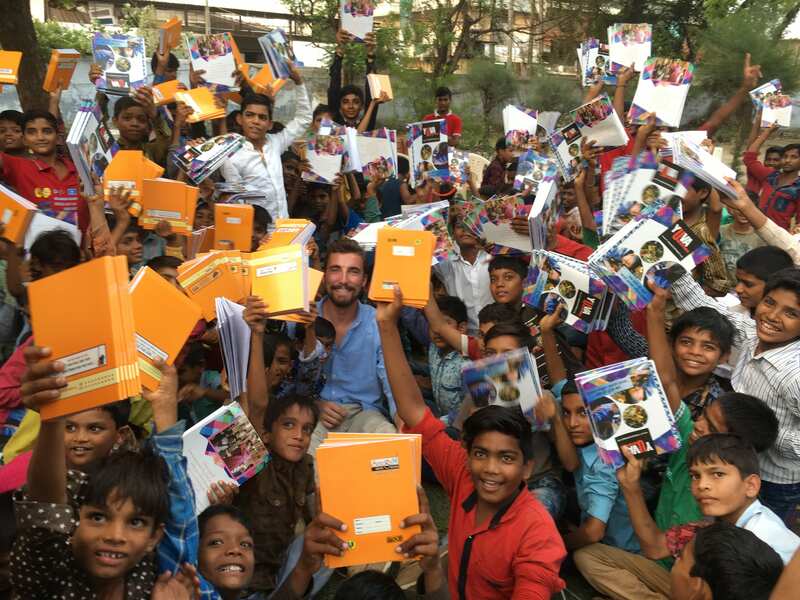 Andrew Thomas at his internship with Yuva Unstoppable. From the moment he stepped foot on IUPUI’s campus as a first-year, Fremont, Indiana native Andrew Thomas, B.A. ’18, knew that he wanted to major in philanthropic studies. “I had volunteered and worked at nonprofits in high school, and was pretty involved with the local community foundation. The foundation’s executive director, Jennifer Danic, M.A. ‘06, is a graduate of the master’s degree program here, so she told me about the school and its programs,” Thomas said. So, Thomas arrived on IUPUI’s campus, ready to get involved in classes and extracurricular activities. He joined a fraternity, Delta Sigma Phi, and became heavily involved in its philanthropic activities. “I was the philanthropy chair for two years. As part of that role, I helped start an event called Queen of the Nile, a seven-week fundraiser that raised almost $10,000 for both the Make-A-Wish Foundation and Alzheimer’s Association,” he said. “During my junior year, I was vice president and oversaw all of the chairs we had, tracked the fraternity’s daily functions, etc. That year, another member and I led the fundraising efforts for the Queen of the Nile, and we raised $13,000 for the Alzheimer’s Association. Thomas credits Genevieve Shaker, Ph.D.’s class Donor Motivation and Engagement as one that shaped his thinking and gave him new ideas on how to better fundraise. 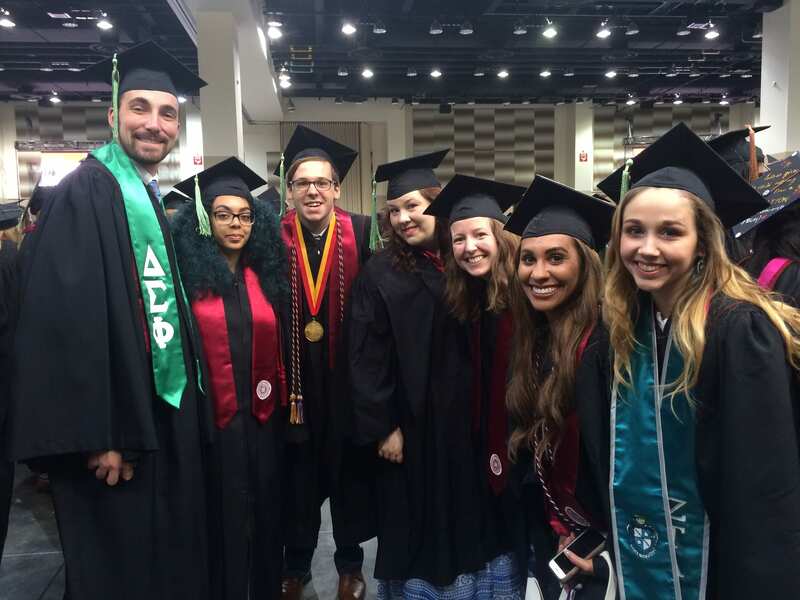 Thomas (far left), with other members of the 2018 graduating class. Thomas also learned about the theoretical and practical sides of philanthropy in his internships. 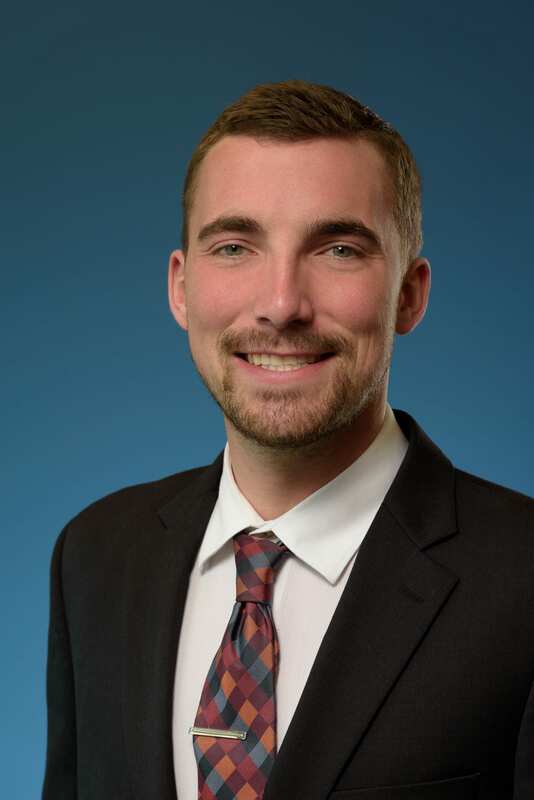 In his first one with the Steuben County Community Foundation, Thomas conducted donor and grantee interviews for stories for the foundation’s newsletter, planned the annual meeting, and completed other tasks as needed. For his second internship, he knew he wanted to go abroad. With these experiences in mind, Thomas spent time during his senior capstone reflecting and thinking about what he wanted to do in the future. So, he sent an email to the Delta Sigma Phi headquarters in Indianapolis, where he interviewed and received a job soon afterward as a chapter support specialist. Now, Thomas looks forward to traveling through New York, Wisconsin, California, Utah, North Carolina, and Louisiana, providing leadership workshops and other training programs for various chapters of his fraternity. He is excited to work with the chapters and to help them grow. “They paired me with chapters that best fit with me and vice versa as well, so it’ll be a great experience to travel and to make a difference with these chapters and men,” he said. But Thomas doesn’t plan on stopping there. “I have my evenings free, so I want to use the knowledge I’ve gained through classes and meet with fraternity alumni in the evenings,” he added. “The fraternity has a small foundation, but has over 100,000 alumni. That’s a huge pool of potential donors who are not donating currently because they haven’t been asked or aren’t stewarded to the extent they could be because of the foundation staff’s limited capacity. Looking back, the recent alum wouldn’t trade his experiences at IUPUI and the Lilly Family School of Philanthropy for anything.